I haven't visited Candaba in nearly two years, so I was very excited to do a brief birding sortie in my favorite wetlands a few days ago. 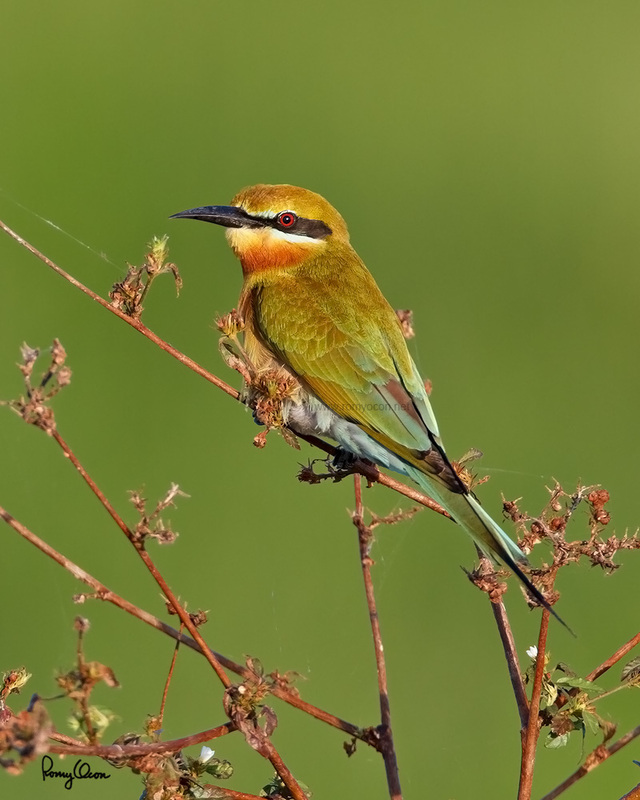 There was hardly a trace of clouds in the skies and this naturally gave me golden light in the late afternoon, perfect for this very colorful bee-eater. The flimsy perch swayed in the light breeze, but the 7D's spot AI servo kept the focus placement firmly on the subject. Habitat - Open country usually associated with water along rivers, marshes and ricefields. 700 mm, f/7.1, ISO 400, 1/400 sec, bean bag, manual exposure in available light.